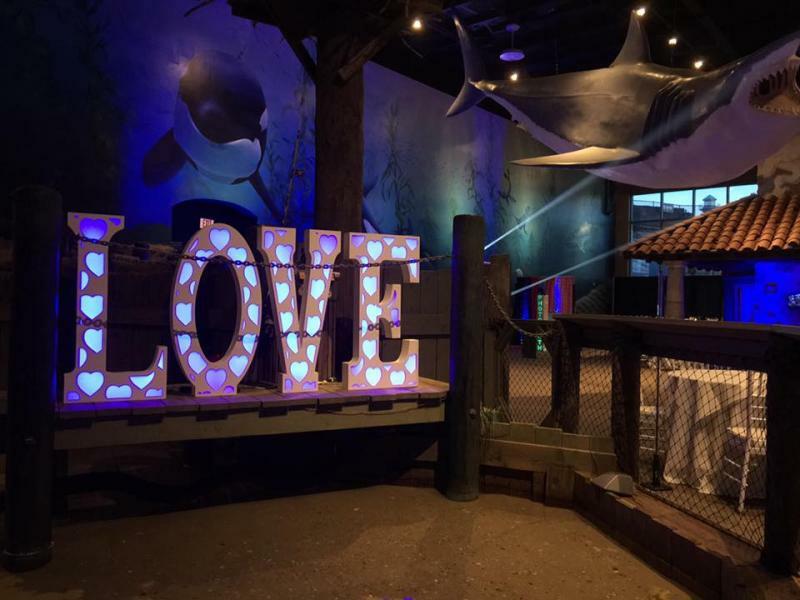 LOVE in oversized 4 Foot letters that changes colors to fit your decor. 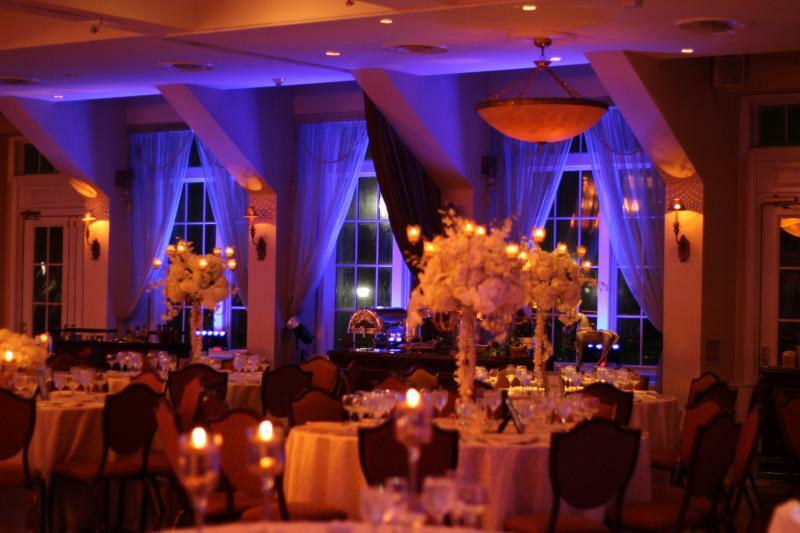 We offer the very latest in available technology for our Up Lighting services. 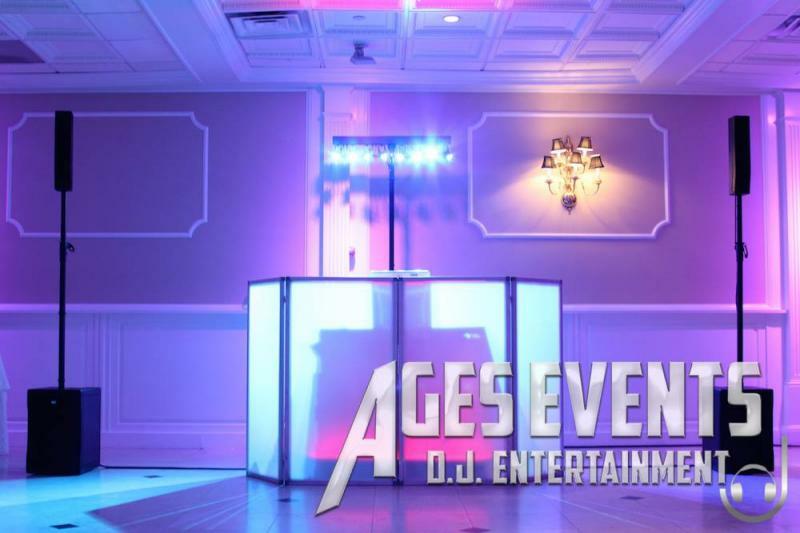 AE's uplighting is 100% wire free! 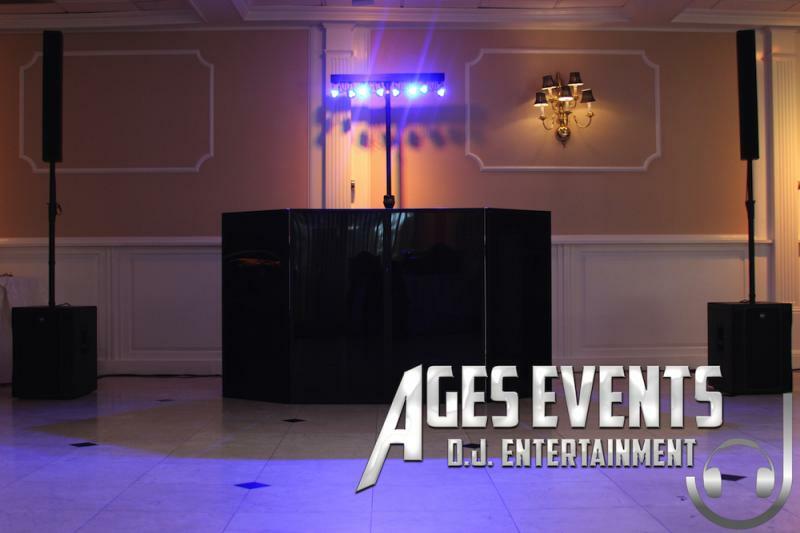 All of our uplighting fixtures are battery opperated and fully controllable. 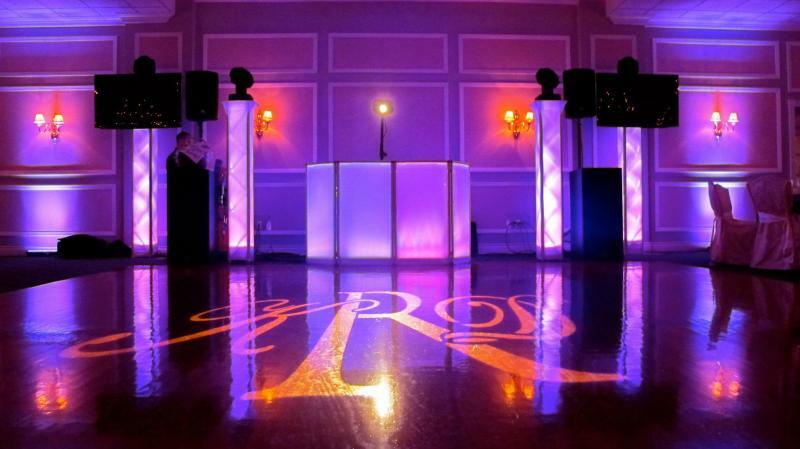 From dimming to strobes or an elegant smooth fade, we can create the atmosphere to perfectly compliment your desired vision. 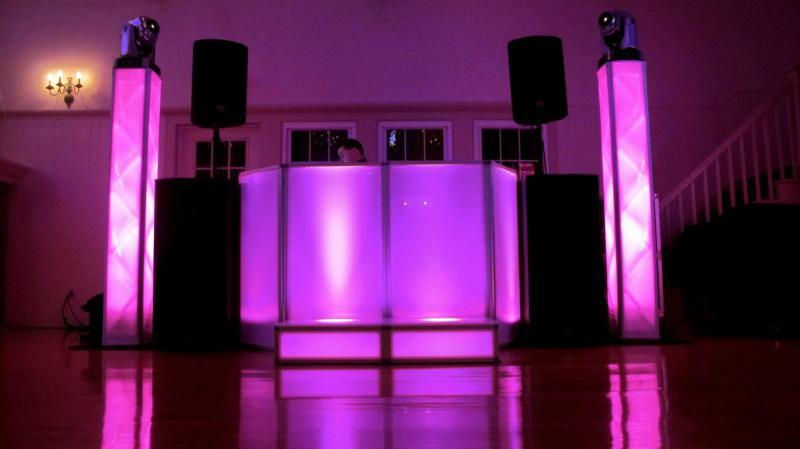 All of our lighting design is fully customisable to your specific venue of choice. 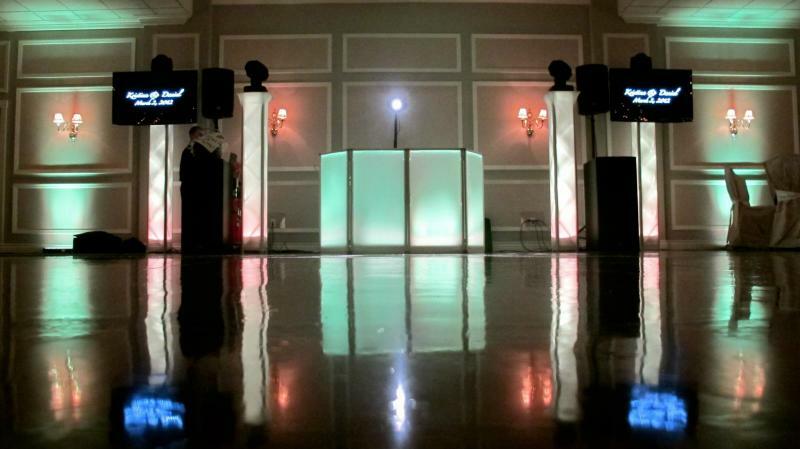 We can color match our setups to match your decor and colors choices as well as have full control from spotlighting special dances to filling the venue with color. We offer many tasteful options and affordability for any budget. 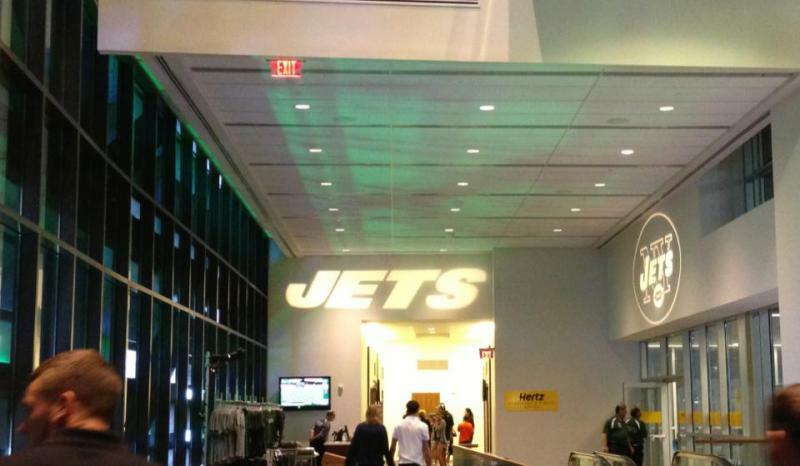 One of the easiest ways to make your venue your very own is with a monogram projection. Put your name, date or anything else you can think of in lights!